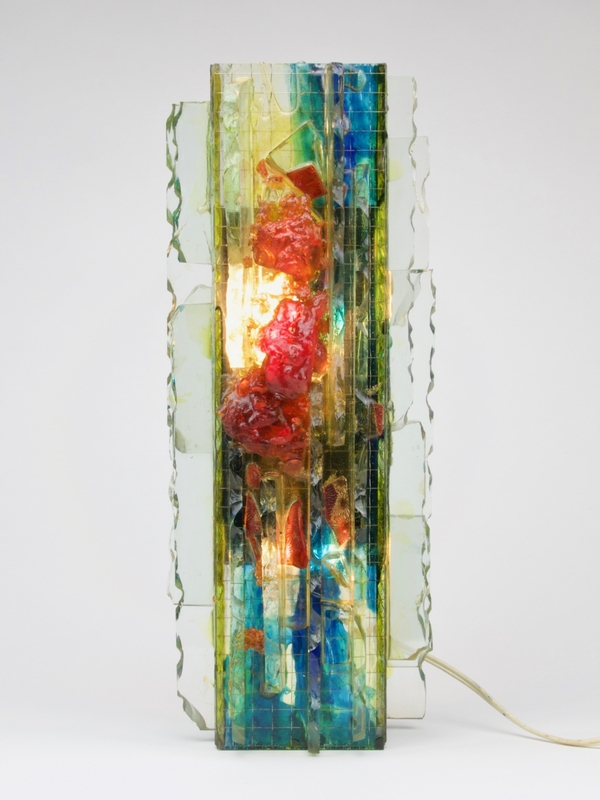 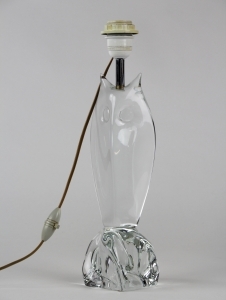 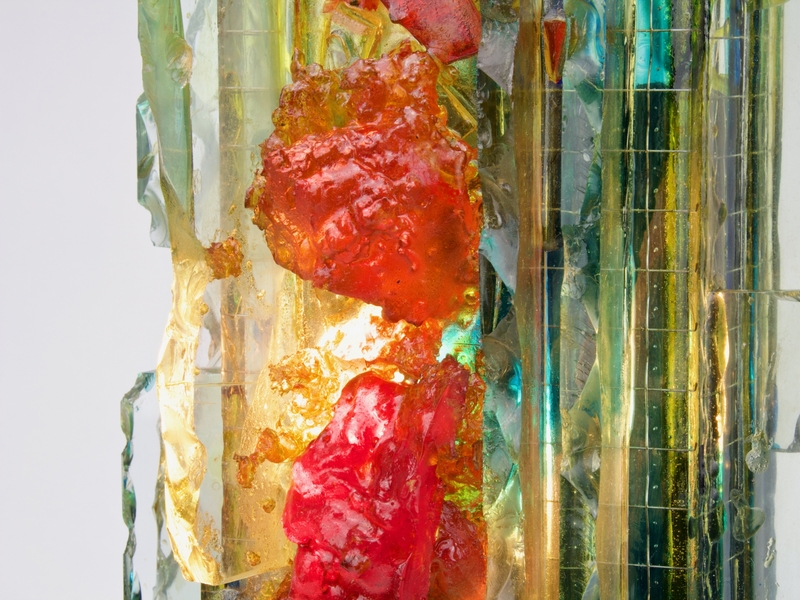 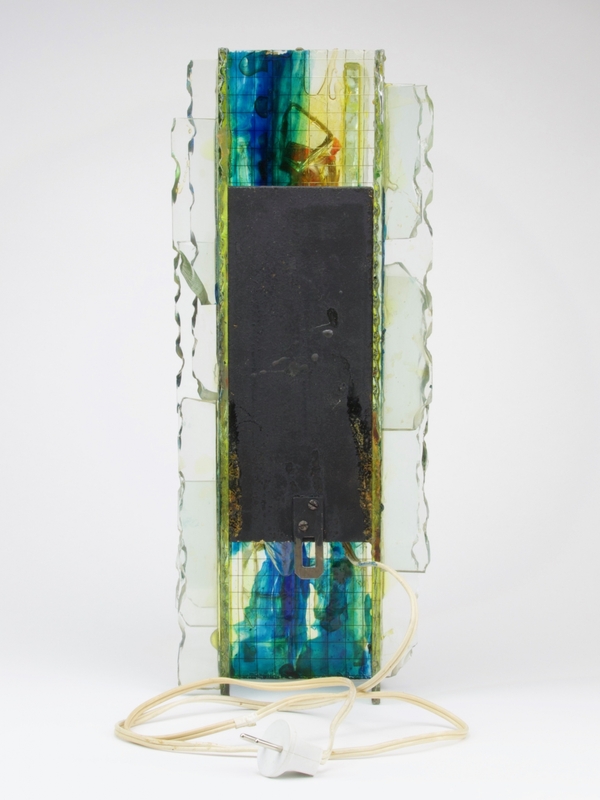 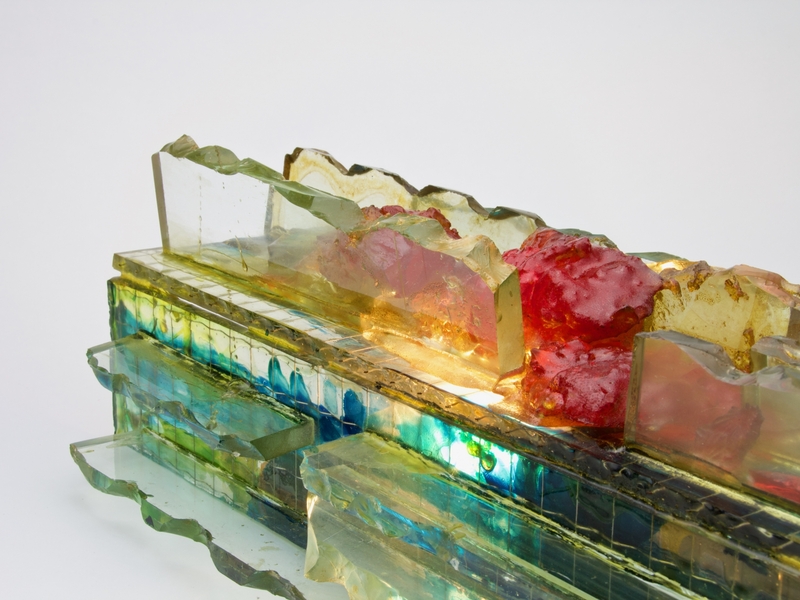 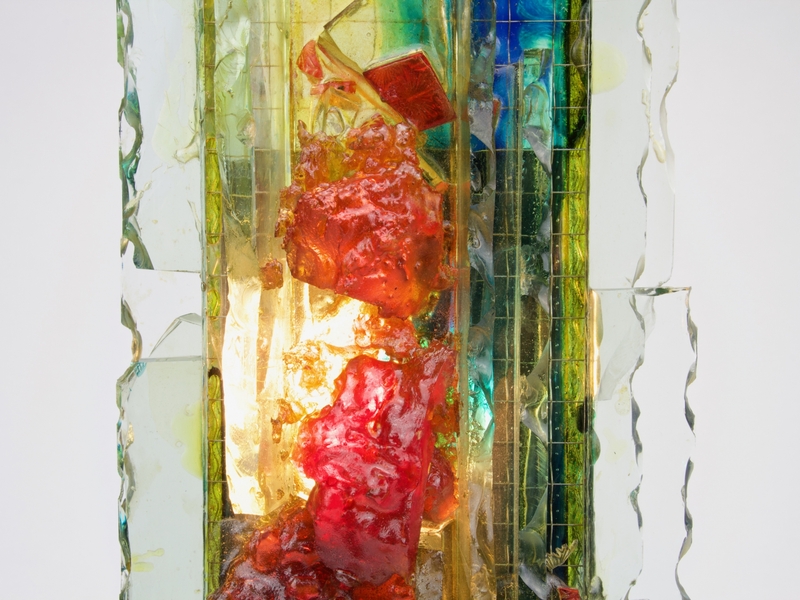 Glass wall lamp in model Chartres by Willem van Oyen for Raak Amsterdam in the 1960s. 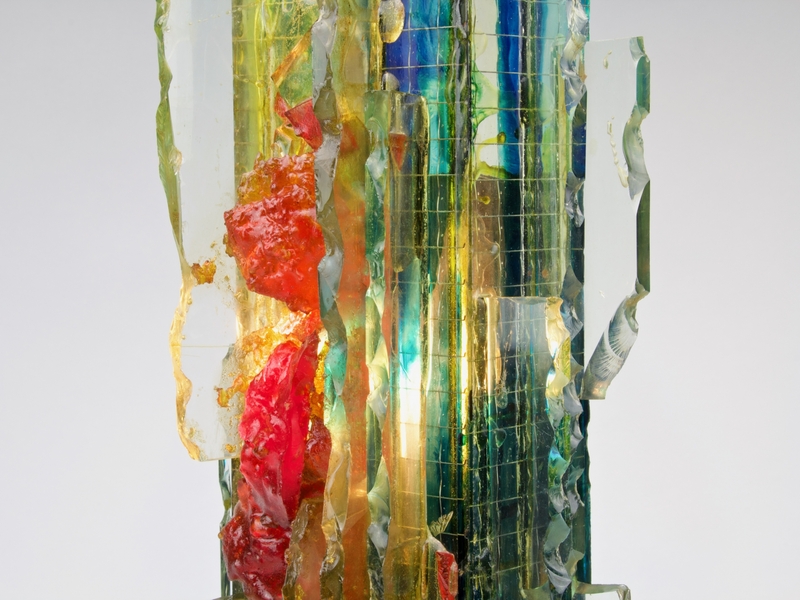 Willem van Oyen was inspired by the stained glass windows of the Chartres Cathedral. 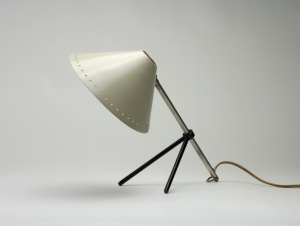 Raak Amsterdam also called this lamp a 'smeltschilderij' ('melted painting'. 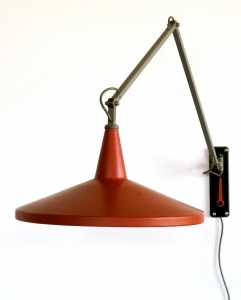 The design is often attributed to A. Lankhorst.